With our stunning landscape, abundant amenities, and warm interiors reminiscent of a resort-style Northwest lodge, The Firs is a community that delights at first sight. The true attraction of our Independent Living community, however, is our people. The unique experiences and stories of our residents create a rich and diverse atmosphere of warmth and energy. From our active Resident Association and Resident Welcoming Committee to memorable meals enjoyed in good company, our community offers the very best elements of home. While our most prized accolades come in the form of glowing testimonials straight from our residents, we are grateful for the attention we’ve received in the senior living industry for continual excellence. We were voted Best of South Sound in 2017 and are also a certified Great Place to Work. Our community boasts dedicated team members who understand the value of building lasting and meaningful relationships. We stand out among Independent Living communities for this exceptional combination of an ideal location, inviting amenities, a friendly environment, and a commitment to the everyday wellbeing of our residents and MBK team members. 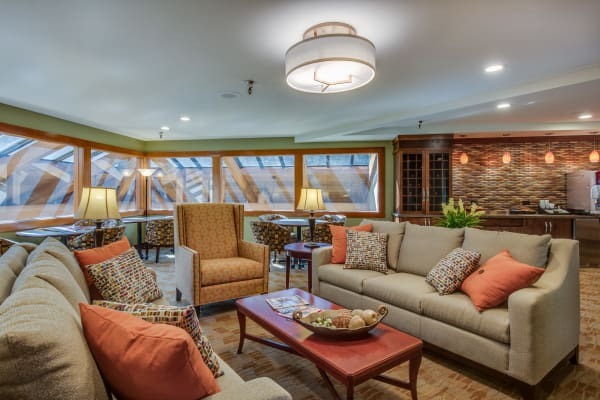 Contact us to schedule a tour of our beautiful Independent Living community, and experience the vibrancy of The Firs in Olympia, WA.